Need a new supply of contacts? Ask about our multifocal lens options. Is it time for a yearly eye exam? Schedule for same day appointments. Welcome to Peachtree Corners Eye Clinic. Our office prides itself with having the latest technology. Whether you’re here for a routine eye exam, or more complex eye care, we are here to help. Are you searching for the latest in fashionable eyewear? We’ve got you covered. But that’s only where it starts. We only use the highest quality of lens products to make you see as well as you look. 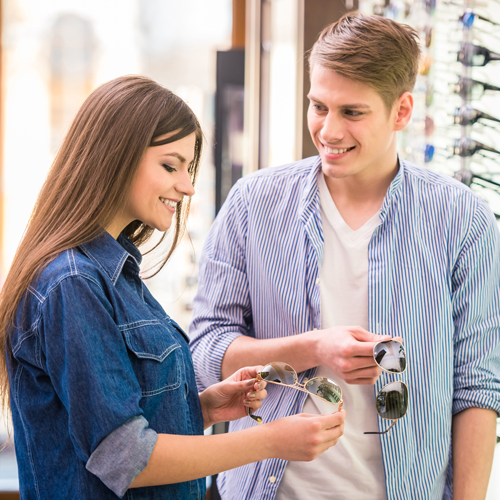 Peachtree Corners Eye We carry all the latest styles and brand name frames. Our inventory is constantly updated with the latest trends. If you’re looking for a new, stylish frame just ask “Hey Siri: Eye Doctor Near Me.” We of course also carry all the classics as well. 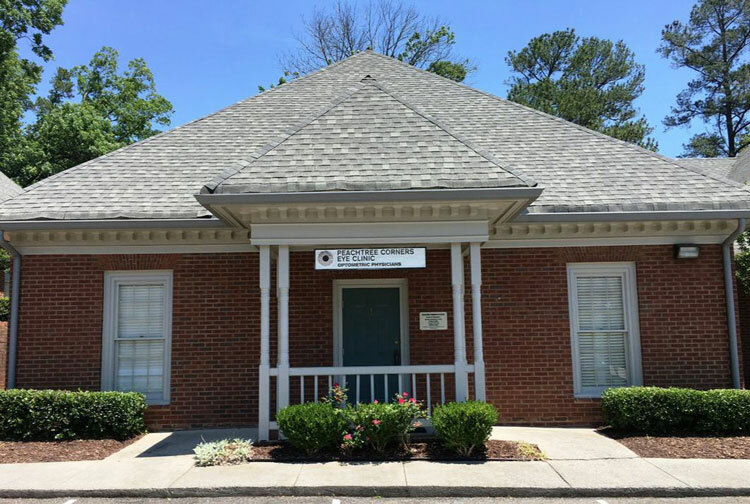 Peachtree Corners Eye Clinic also understands that trying to treat every patient with the same tool is not a wise approach. 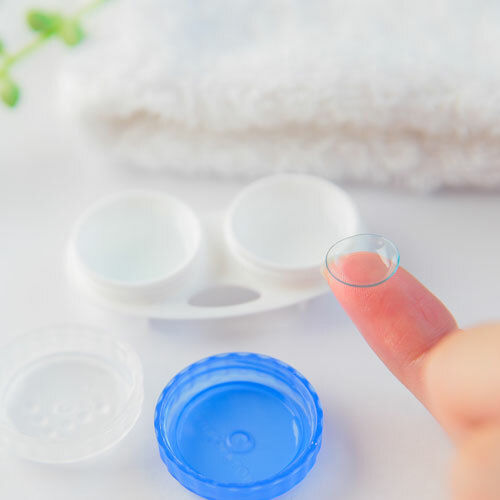 For that reason, our doctor is well trained in a wide variety of specialty contact lens treatments for conditions like keratoconus and difficult to fit prescription. These include made to order, hybrid and scleral contact lenses. If you’re covered by insurance, we can check for you and get you on your way to a new set of glasses. We also treat, manage and co-manage most medical ocular conditions. 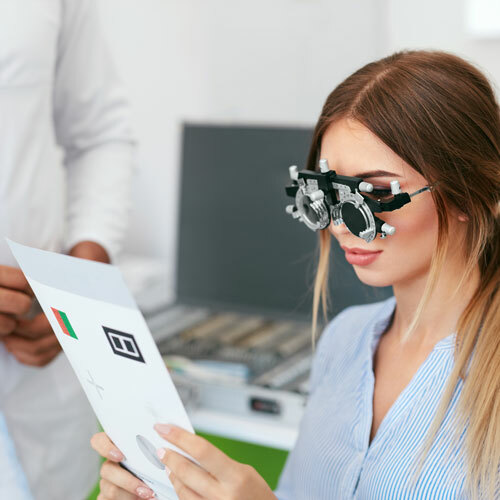 Glaucoma, cataract, macular degeneration, and ocular surface diseases like infection and dry eye syndrome can be treated with all the latest technology and pharmaceuticals. "Love this place. I’ve been going here for years and the new doc is just as wonderful as Dr. Shuster! Great support staff as well!" "The office staff is friendly. Dr. Eid is great. He listens to your concerns and doesn’t rush your visit. I am very satisfied with my visit and I definitely recommend this practice for your eye care needs." "Dr. Eid and staff are amazing, very friendly over the phone and in person, highly experienced and very well trained, the waiting room even though it’s a little small had enough books and distractions for our 4 kids until they all finished their eye exams. Dr. Eid was extremely friendly and patient with us and explained everything in detail. We highly recommend this clinic for all your eye care needs, kids & adults :-). We also had so many options to choose from for frames and sunglasses. A++ all the way." "Went to great lengths to make sure my contacts were perfect. Willingly answered all questions I had thoroughly. I live in a different state and got me in to see him on short notice." "Delightful first visit with Dr. Eid! I had been a patient with Dr. Shuster for many years previous- so one can appreciate a certain amount of uncertainty + loyalty. Here I was for the Annual eye exam with the new opth. Lovely manor and optimum professional knowledge! Kim & Yarra are still at the helm as well as the opth-assistant whose name escapes me. The biggest compliment for us is when our clients share their experience with a friend or family member. Please read our current reviews or leave us a new one now.